Behind the glamorous 1.5-mile Texas Motor Speedway sits the grassroots dirt track. 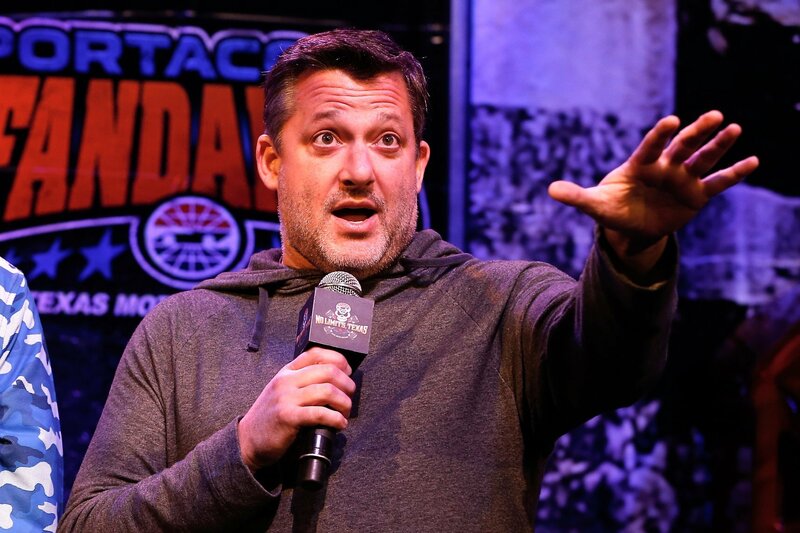 This weekend, the 4/10th of a mile oval is hosting a huge dirt race: Tony Stewart Presents The Vankor Texas Sprint Car Nationals (ASCS Sprint Cars). Tony Stewart is removing the fences this weekend at Texas Motor Speedway. The NASCAR and dirt racing crowds become one for one big weekend of racing in Texas. “The crowd last year was awesome on Saturday. And it makes it fun for us as drivers to race in front of a big crowd like that. It was just kind of a natural deal,” Tony Stewart discusses the event. It’s a double header weekend for the complex. Ricky Stenhouse Jr, Kasey Kahne, Ryan Newman, Kyle Larson and the other NASCAR guys all have a dirt race to watch this weekend. “They’ll all come down and tell me everything I’m doing wrong driving the car. I’ll get plenty of driver coaching I’m sure,” Tony Stewart says at the Texas Motor Speedway media center. Do you ever compare dirt to NASCAR? How about the asphalt fans vs dirt track fans? What do you think about that dynamic? Is there plans to schedule more dirt races along-side NASCAR events?